Learning how to apply false lashes can be frustrating. From strip lashes to individual lashes, the task of learning how to apply ANY style of lashes can be unpleasant. 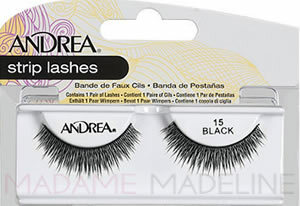 False eyelashes are made up of either silk, synthetic, or human hair. No matter what design, shape, or type they are made up of, the rules of applying falsies is necessary to ensure a seamless, anxiety-free outcome. Before going into the detail about how to apply false lashes, you should pick the lashes based on the look you are going for. If you want your lashes to look natural, applying individual or strip false lashes will do the trick, and can be purchased at Madame Madeline. 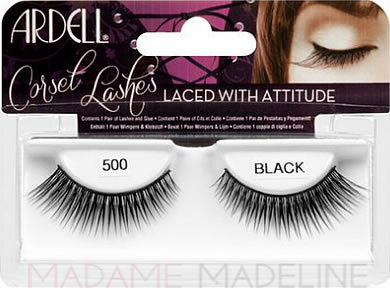 Madame Madeline offers the finest, light weight false lashes, making it easy for all-day wear or first time users. Look for the styles that are not too long or too thick, so it mimics the shape of your natural lashes. As a result, will give you the natural look you are looking for. 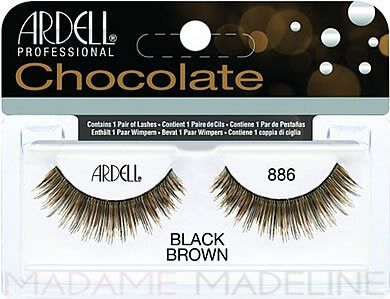 All of Madame Madeline’s lashes are made from 100% human hair, which can offer a dramatic and fuller look to your eyes. 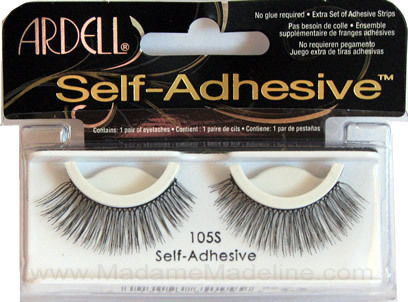 When purchasing false lashes, most of the time, glue is included. There are two types of glues available in the market: Latex based and Non-latex based. Performing a patch test with different types of glues on your wrist will help determine the glue that works best on you. Measuring the length of your eye shape will determine whether your falsie needs to be trimmed. Trimming your lashes depends on the style of lashes you are applying. When applying strip lashes with a “Cat Eye” shape, you should trim the width of the lashes along the outer edge. NEVER trim your false lashes WHILE they are on your eyes! Once the length is measured and trimmed; the falsies are ready to apply. Draw a thin line of lash glue on the lash band and be sure not to get any on your natural lashes. Allow 10-20 seconds for the glue to sit in. Place the center of the strip lash, on the center of your upper lid. Hold it for 2-5 seconds. After that, keep the inner corner of the strip lash, to the inner corner of your upper eye lid, and hold it for 5-10 seconds. Once the glue dries, apply a light coat of mascara through the lash base to mix the false lashes and your natural lashes together. Don’t coat the mascara to the tip of the false lashes, as it will let them look clumpy. 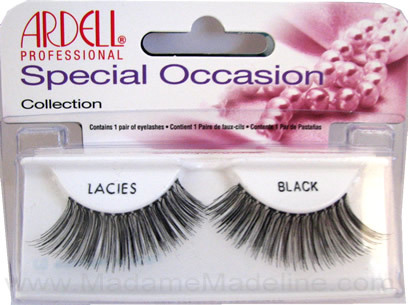 Buy false eyelashes from Madame Madeline and follow these tips thoroughly to enable a diva like appearance. For more updates regarding false eyelashes, please make a visit to our Facebook, Twitter and Google+ page.